Back in the 16-bit era, an interesting Mickey Mouse platformer was released for major consoles. Named Mickey Mania, it had Mickey go through various worlds based on his old cartoons, with lush graphics and animations that almost matched the source material in their detail. It was an interesting game, and one with a lot of fans upon its release. But did you know that there were actually plans for a sequel? Yep, as the title suggests, Mickey Mania 2 actually got some way into development before being cancelled! And what’s more, thanks to Jon Burton (the Travellers’ Tales founder) and GameHut, footage of it has been uploaded online! As you can tell, it looks as fantastic as the original was. 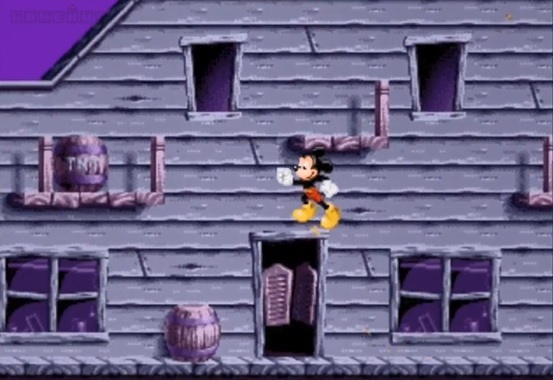 You’ve got the same detailed backgrounds and foregrounds, the same well animated Mickey Mouse sprites and similar gameplay to the original title in general. It was everything fans would have wanted. So why was it scrapped? Well, timing. Put simply, Mickey Mania 2 just didn’t make sense when the prototype was in development. That’s because in 1994, a lot of focused had shifted to a certain Pixar movie called Toy Story. This movie was going to be Disney’s next big hit, so the folks at Travellers’ Tales decided to make a game based on that instead. Which in turn led to the old Toy Story game for 16-bit consoles. You know the one. The really difficult one where you fight the claw in Pizza Planet, or try and steer Buzz and Woody to the removal van on the toy car. And to be honest, it was probably for the best really. Toy Story made for an amazing game in the 16-bit era, with reviews being significantly better for it than they were for Mickey Mania. Add the higher sales compared to Mickey Mania, and it just made more sense for Travellers’ Tales to work on this one instead. But still, it does make you wonder. About how the world may have been if things worked the other way around. Had Toy Story not gotten an adaptation and Mickey Mania 2 had been released instead. Would have been an interesting world to live in, though probably not anywhere near as good as the current one. Still, do you think? Are you glad Mickey Mania 2 was scrapped and replaced with the Toy Story video game? Or would you rather have seen this prototype finished development instead? Post your thoughts in the comments below or on the Gaming Latest forums today! Epic Mickey the Power of Illusion; Little Mermaid World Footage!